Whether in response to low oil prices or simply in an effort to run leaner, companies across the globe are cutting jobs. Last week, Chevron announced that it plans to lay off roughly 10% of its workforce, roughly 6000 to 7000 workers, in 2016 to deal with the plunge in crude prices. Deutsche Bank recently declared its intention to reduce headcount by 23,000, roughly a quarter of its personnel, as part of a broader restructuring plan. Dealing with a reduction in staff, regardless of the reason, can be challenging. The workload doesn’t change simply because there are fewer people to share it, so companies must figure out how to get the same amount of work done with fewer people. In short, they must improve productivity. Sounds simple enough, but determining what really drives productivity in an organization can be tricky. 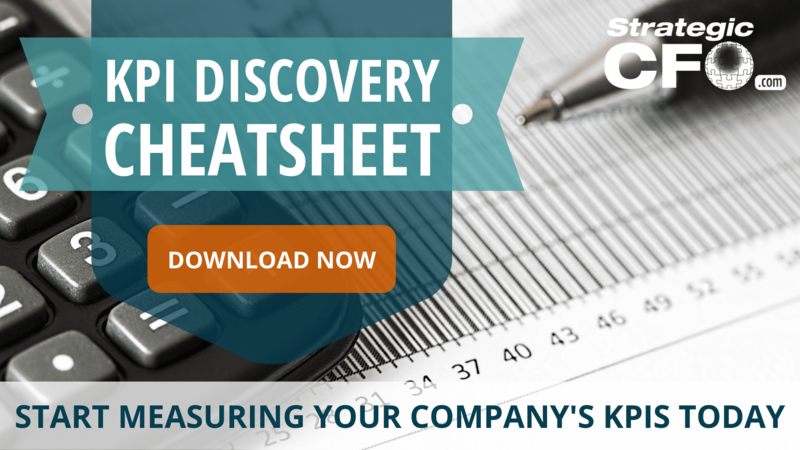 For help determining what your company’s Key Performance Indicators (KPIs) are, check out our KPI Discovery Cheat Sheet here. Now that you’ve discovered what productivity measures to track, it’s time to track them. Including these KPIs on your weekly flash report or dashboard allows you to keep an eye on how key resources are being utilized. And when resources (such as people) are scarce, even small gains in productivity can yield big results. The final piece of the productivity puzzle is to tie improvement to recognition or rewards. Employees are likely reeling from the reduction in staff. Providing incentives for meeting productivity goals will not only help ensure that the goals are met, but can provide a much-needed boost in morale. We’d love to know what steps your company has taken to do more with less, so leave us your thoughts in the comments section below. I have always found it effective to look into both parts of the Productivity equation. Too often when companies reduce people they fail to look at the work itself thus the expression ‘do more with less’. It takes some effort to determine what is important and what isn’t. What are the must haves vs nice to haves relative to the work. The people left will appreciate the effort and will often have ideas on what can go or stay. Once the must haves are determined keep the people engaged with the how to do them. The more the people are involved the better the chance that the productivity will improve as required to do the remaining work. Great observations, Lisa. We are not proponents of wholesale cost cutting, but we do believe that smart cost management will not hinder growth; allow employees to focus on revenue generation; and prevent costs from getting out of control to the point where the only solution is dramatic cost reductions. To be effective in this role, a good approach for the CFO is to construct a template that lists the common areas of overspending, questions to ask, proposed solutions; and the results from the implementation of these efforts. In a growing company, the template should be updated at least yearly and reviewed quarterly or monthly.